Happy Prime Day! For those of you who are new to the Prime Day craze, it’s a 24-hour sale when Amazon offers great deals on an extensive array of products. 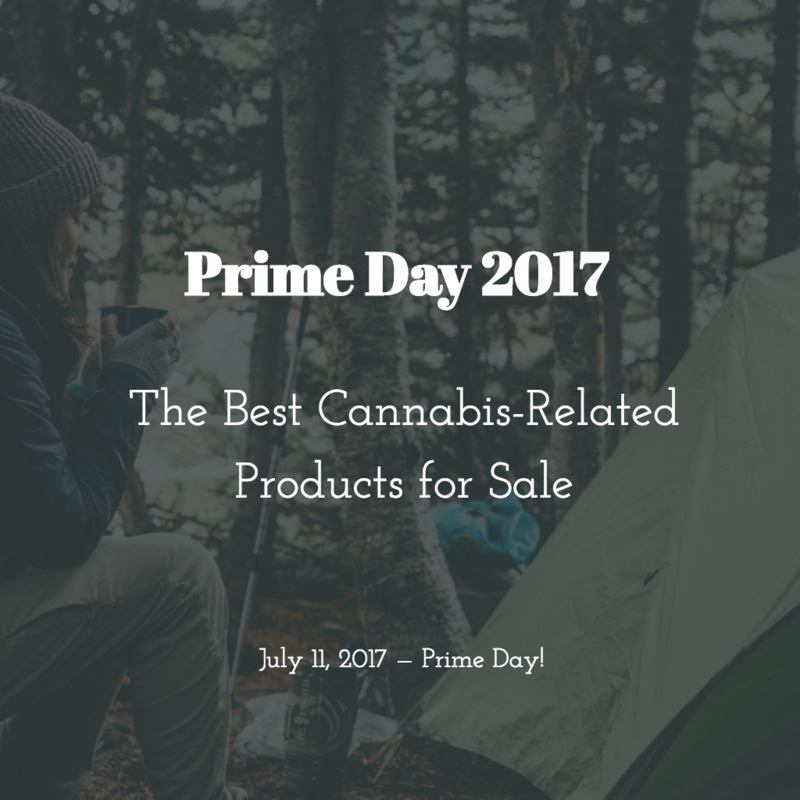 And there are several cannabis-related deals available. Sure, you won’t find your favorite strains for sale, any CBD oil or great vapes, but there are some indirectly-related options that we think you’ll find useful and enticing. Don’t forget to search for your favorite strains at dispensaries to use with these products. You can use our cannabis price comparison tool to find the best prices on cannabis products at dispensaries in your area. You’ll find deep discounts on the Echo and Echo Dot from Amazon. The Echo gets a 50 percent price cut, making it $89.99, and the Echo Dot drops by $15 to $34.99. Meanwhile, Amazon’s bluetooth speaker with Alexa, the Amazon Tap, is $50 off, making it $79.90. Why buy: Tired of hand-grinding your buds? This battery-powered herb grinder can make life easier if you’ve got a lot of herb to grind. Plus, it has a “pollen” catcher, so you won’t waste of your cannabis product. Why buy: Everyone needs a good scale for the kitchen, of course, but scales double as a useful tool for weighing cannabis. After all, it’s reassuring to get home and check that the dispensary really did give you a full ounce. Plus, if you’re sharing with friends, this makes splitting it up a little easier — everyone gets their fair share. Why buy: If you’re a cannabis consumer, and you typically smoke, a good lighter can be your best friend. We dig this Zippo Buddha Lighter, but if you’re not a fan, all Zippo lighters are 25 percent off today. Click on the Buddha below and you can browse more options. Why buy: Whether you’re an avid grower or just starting out, pruning snips are a necessity. And these from Fiskar can certainly save you some hand strain — they were awarded the Arthritis Foundation Ease of Use Commendation. You can pretty much find anything you want and/or need on Prime Day. We suggest browsing through movies, music, games and other item you find useful as a cannabis enthusiast. Get cannabis-related deals straight to your inbox by signing up for our newsletter in the sidebar of this post!